New iPhone models include an interesting feature called 3D Touch, which allows you to press the screen at varying degrees of pressure to get various app shortcuts, as well as various ‘pop’ and ‘peak’ features. 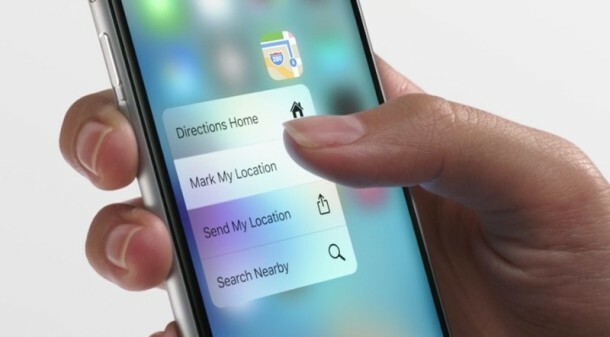 While 3D Touch is a useful feature for many and one of the primary selling points of the iPhone, some users may find it to be distracting or annoying, and thus you may wish to disable 3D touch on the iPhone screen. 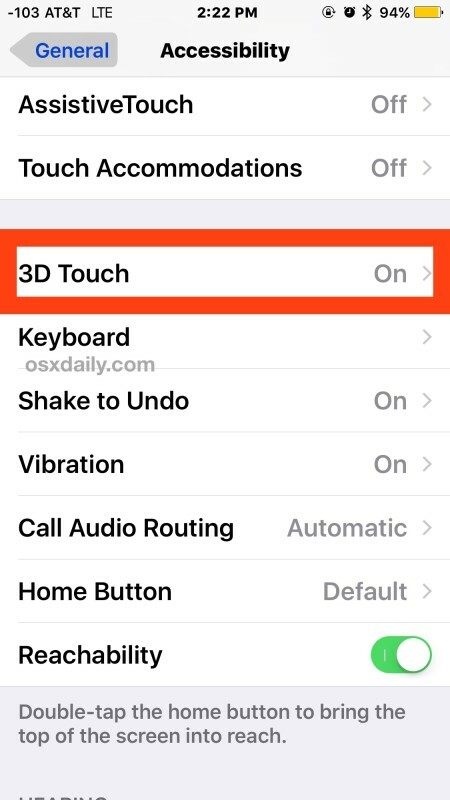 Like all other iOS settings, if 3D touch is disabled and you wish to reverse course, you can easily re-enable 3D Touch as well. 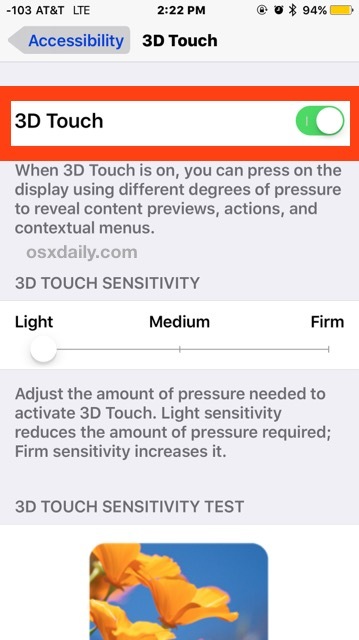 Before turning off 3D touch, you may wish to adjust the pressure sensitivity first instead, for many users that is a sufficient change on iPhone. Once disabled, 3D Touch and all related features will no longer work on the iPhone, no matter how hard or soft you press on the display. No more peeping, no more peaking, no more popping, no more previews, nothing that uses 3D Touch is going to display while this feature is off. Now with 3D Touch back on, the 3D Touch features are again working as intended, ready to peak and pop on links, Home Screen icons, and more. 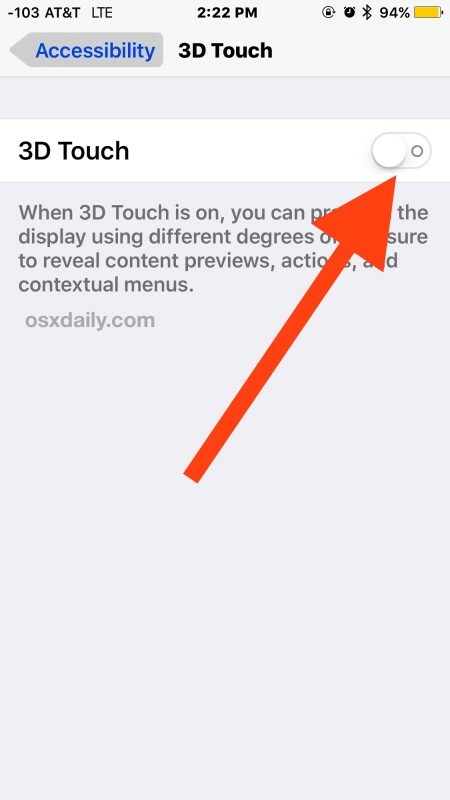 By the way, if you try to search for 3D Touch in iOS Settings search, for some reason it won’t show up at all – that’s likely a bug that will be fixed in the future. Mac users with the new Magic Trackpad and new model MacBook Pro also have 3D Touch, as does the Apple Watch, though it was once labeled as Force Touch when it debuted on those devices. By the way if you don’t like the feature on iPhone, you may also wish to disable Force Clicking 3D Touch on the Mac trackpads as well. Remember, 3D Touch requires an iPhone 6s, 6s Plus, 7, 7 Plus, or newer model. Earlier devices do not support the feature. This happens to you because you are a joke. End Of Story. Says the internet tough guy. Yea, I have an iPhone 6S. I tried 3D Touch for a while but turned it off as it was very gimmicky. It took me the same time to access features by touching the screen harder as it did for me to open the apps and use the features they were taking about. 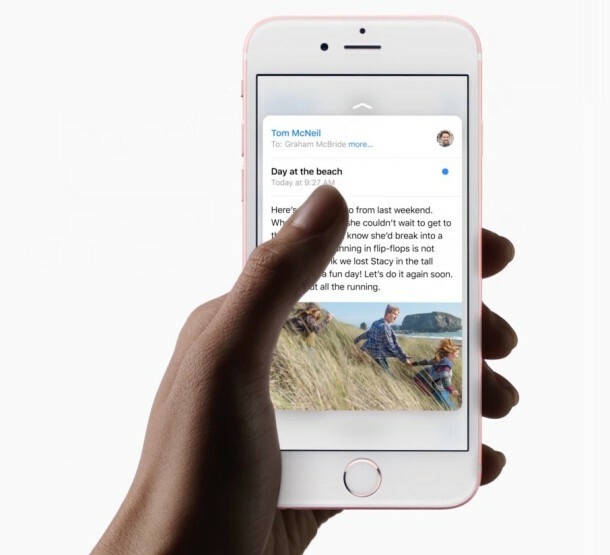 The sad part is that, to include 3D Touch, Apple had to reduce the physical battery size. So now I have a smaller battery for a feature I don’t use anyway. My suggestion is making future phones that have and don’t have this feature, replacing the extra space required for a bigger battery. I would have taken that 10 fold over 3D touch.